Eagle’s Locksmith is a certified Locksmith in Cincinnati, Ohio with high technology services that provides door lock repair, keyless entry, access control, master key system, high security commercial locks and emergency assistance. 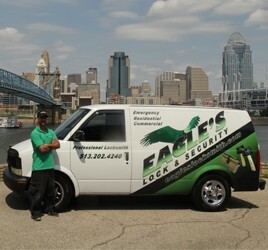 Eagle’s Locksmith is a full service locksmith company in the greater Cincinnati, locally owned and operated. 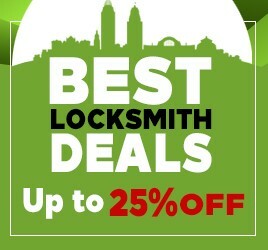 Our locksmith technicians are fully insured and licensed to provide locksmith services by law in the state of Ohio. 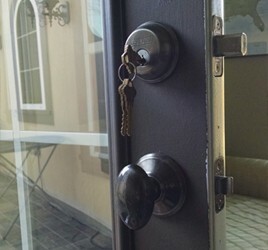 Our goal is to keep you safe and secure and solve any lock issue you may have. From the moment you pick up the phone to call us for assistance, you are becoming a valued customer and we will provide you the best service and make sure you are 100% satisfied. Our future with you is important to us, that’s why we offer special discounts and rates for your next experience with our company.